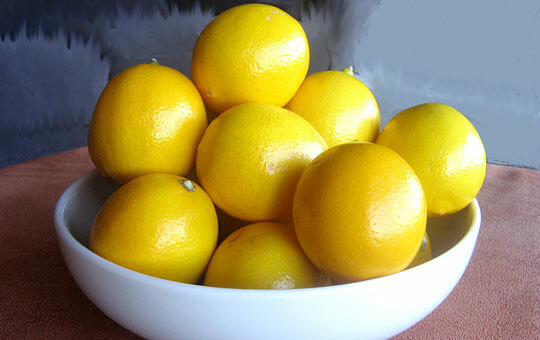 I have been hearing recently about Meyer lemons. Yesterday, I was at Whole Foods and saw some (quasi reasonably priced) in a bunch. They are so beautiful. I was powerless to resist them. I found an story about them on NPR and here’s a bit from it, “A cross between a lemon and a mandarin orange, the Meyer lemon has smooth golden skin the color of a fresh egg yolk. It also has a thin edible rind, a high volume of juice and none of the tartness of a regular lemon — yet its potential in the kitchen went unnoticed.” If you’re interested in listening to the story here is the link to it. I’m actually thinking about trying to grow one for myself. My mother had a lemon tree she grew from a regular lemon seed, why can’t I? They really are beautiful and oh so tasty! So, I’ve tasted them and oh wow. Yummy! I can’t wait to try some of the recipes in the article. I’ll let you know how they turn out. 1 cup fresh chopped parsley. 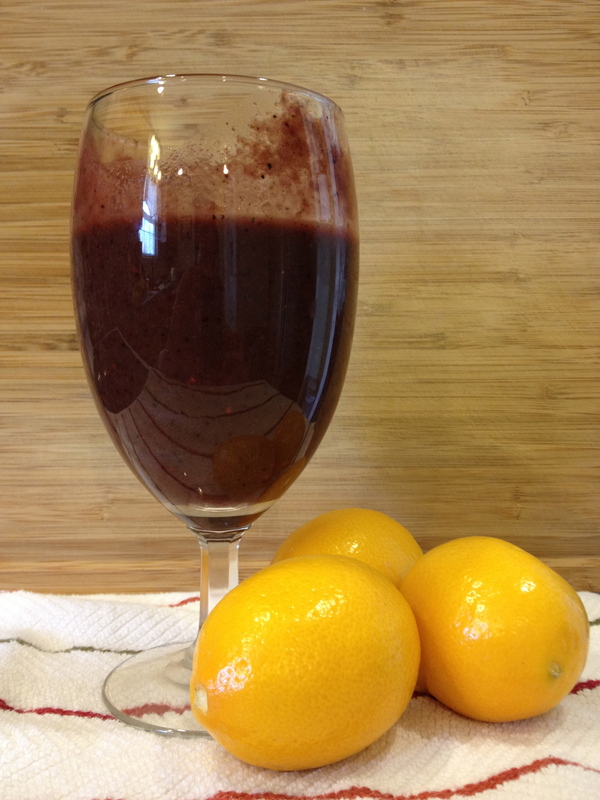 So, I blended all this together and I must say, it tastes really good. Yes, it does have a slight grassy taste to it but everything in it is SOOOOOO good for me that I can’t with a good conscience not eat it. I took a picture of it and the lemons … I wonder if anyone else out there is brave enough to try one of these smoothies too. I’ve always heard Martha Stewart rave about Meyer lemons, but I don’t think I’ve ever seen them in the store. I’d try the smoothie. Pretty soon, we’ll have plenty of dandelions here and I’ll give it a try. Way to be brave, Rachel!